The long awaited browser, which was for more than a year for Windows, finally comes in beta stage for Mac and Linux users. Google chrome beta for mac and linux are available for download finally! It’s finally here: Google Chrome for Mac. Available today in beta! Thanks for signing up to hear from us regarding Google Chrome for Mac! We’re excited to let you know that Google Chrome is now available in beta for Mac OS X. After this long wait, I hope the browser is satisfactory enough to use, with all the developments made and features integrated in it, that adjust well with the geeky interface of Mac OS X.
Google Chrome loads pages and runs web applications in a snap. If any tab freezes, its individual. Other tabs are unaffected. Browse the web more safely with malware and phishing protection built into Google Chrome. Omnibox – for both search and address typing in the same bar. 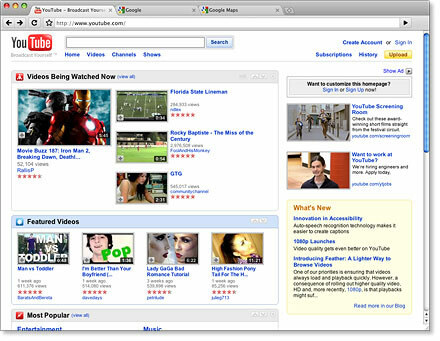 Tab page with all the highest visited pages list, and favorite websites for easier browsing. You can download the Google chrome for Mac from here.